* Note the required fields are indicated but please give as much information as possible, thank you. 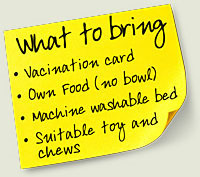 Note:The kennel cough vaccination is NOT included as a part of your dogs’ annual vaccination. 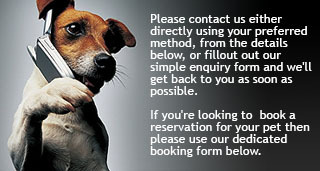 It is a pre-requisite for your pet to stay at our kennels and as such you need to explicitly request for this at least 7-10 days before your pets stay with us. Note: We are closed sunday morning. Would you like your dog groomed prior to collection?